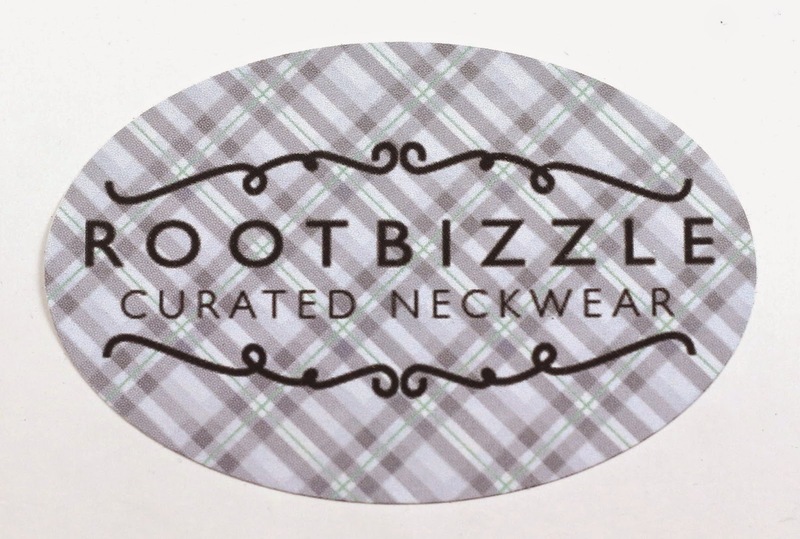 Root Bizzle Monthly Tie Club is a new subscription box for men (or women!) 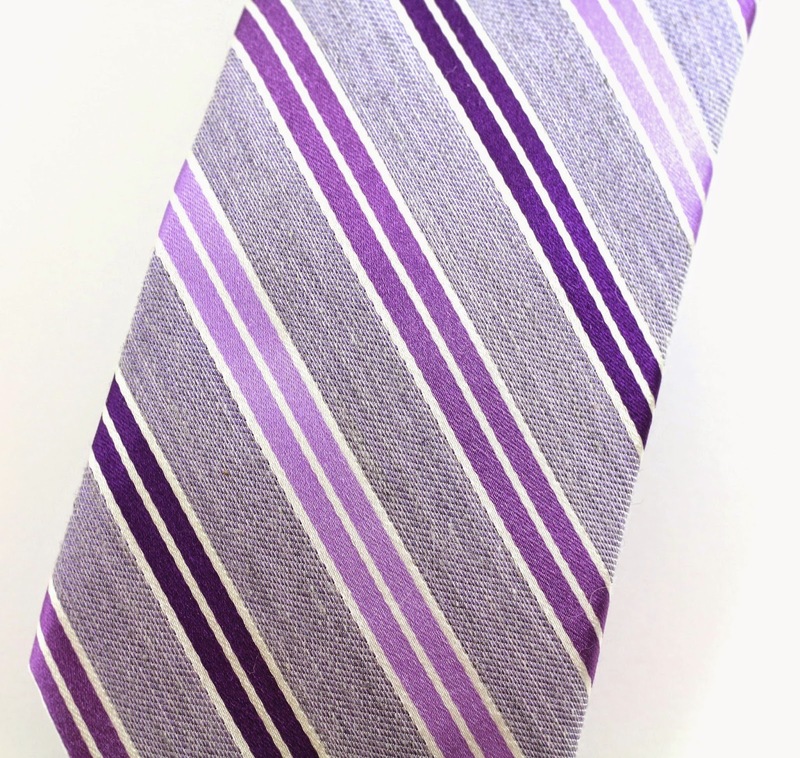 that sends you a new stylish silk tie every month. 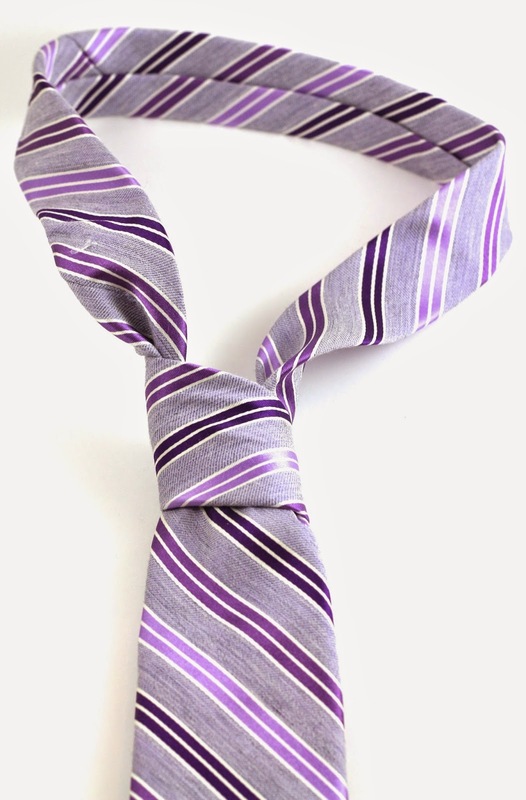 It is $25/month, with free shipping, you get to keep every tie, and you can cancel at anytime. There are three different styles to choose from, business, skinny, or whimsical ties, in 58 inch lengths, 63 inch or as a bow tie. You can change, cancel or pause your subscription at any time, you are billed on signup, and then on the 1st of the month following your last paid tie shipment. Root Bizzle kindly sent me this tie for review purposes. Root Bizzle ships USPS First-Class, and ties ship monthly on the 15th. I received a Skinny Tie and it comes with a handy info card giving you some tips for how to wear the style you picked, and a little card with a different knot on it and on the back is an info graphic with instructions. 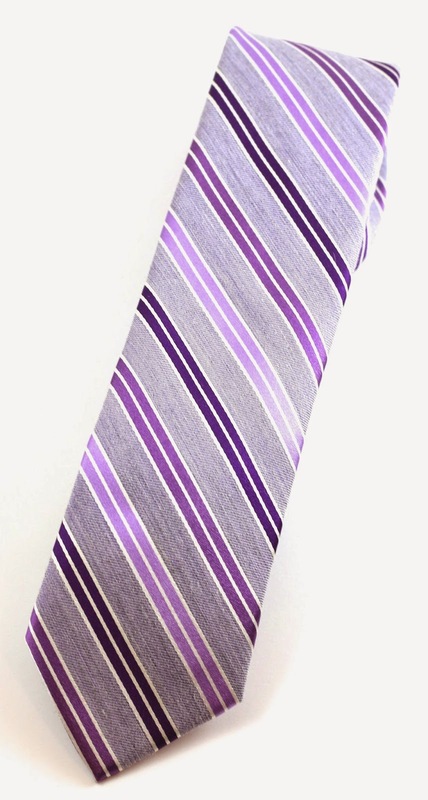 This is the tie I received, and I was a little surprised it was purple. There are some guys who are totally down to wear purple and pink and other colors like that, but some are not. I hope there is a way to set color preferences on Root Bizzle, and not just style preferences. EDIT: I have discovered there are ways to set color and style preferences, so you should always get a tie that's just your taste! This tie wasn't really B's style, but I asked his brother, who is a little more daring with fashion, and he said he really liked it. So, I think some of the ties will be for some, and not for others. I thought this was a nice touch, they have Root Bizzle stitched onto the back of the ties. I made an attempt to tie the Prince Albert knot that was on the instruction card included, how did I do? Not very good I don't think hah! I have heard the Prince Albert knot associated with bow ties, and not regular ties, so that was interesting to learn that it is for both. 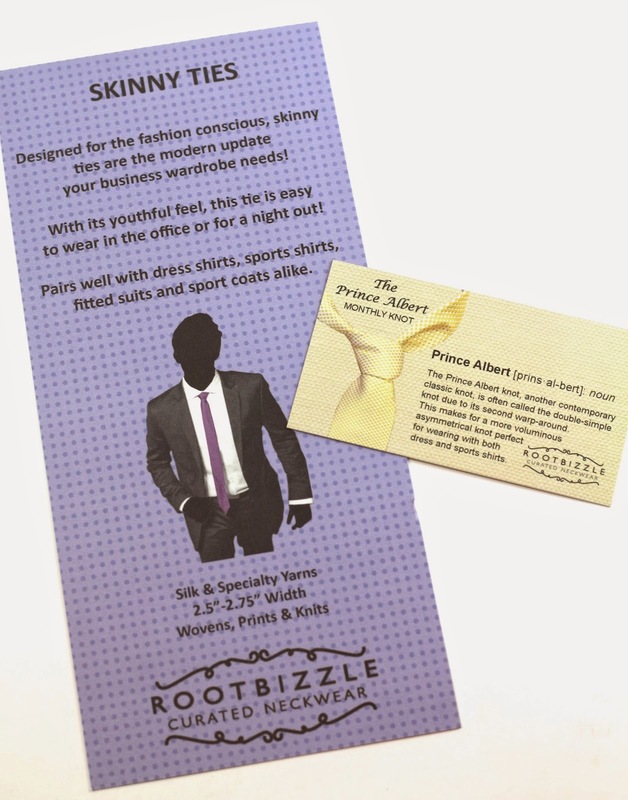 Overall, I think for certain stylish dressers and business professionals, Root Bizzle would definitely appeal to them. Especially considering that I'm sure the people who wear ties often, probably don't have much time to go shopping for them. This subscription would be a good way to avoid the hassle of shopping for ties, and just get a new one every month, right to your door! But like I said, I hope there is a way to set color preferences, so you don't end up with a tie in a color you wouldn't wear, or don't have any clothes to match. EDIT: There is a way to set color and style preferences, you'll always get a tie that matches your clothes! 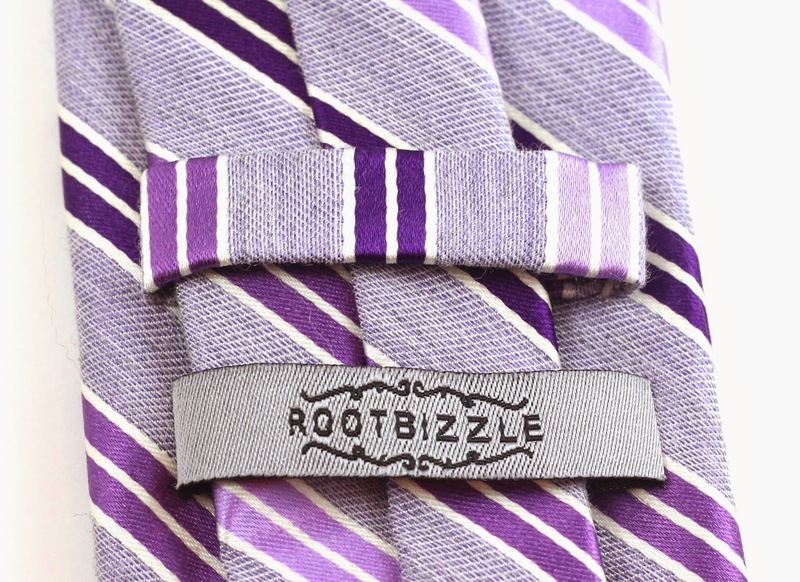 If you're interested in signing up for Root Bizzle Monthly Tie Club, you can do so here. It is $25/month for one tie, and you can choose your size and style preferences, and change or cancel your subscription at any time. They have a special promo going on right now, use code SUMMERSTYLE at checkout for 20% off your first tie! Disclosure: This post contains affiliate links! I received these products complimentary for review purposes. This is my honest review.